A Pile of Mill Hill Finished! The top photo is the pile of stitched projects that I could find in my stash. I think there may be more, but this was enough for me to deal with. The bottom photo is the Mill Hill bead kits that I quickly put a backing on and cut out. Why did I procrastinate on doing that when it took less than an hour? The Santas and hearts have been cut out and glued to cardboard. I need to figure out material for the backs and make cording and then I will post a photo. I really, really, REALLY want to stitch on something else besides this! Temptations abound everywhere! But I realized I had stopped working on this piece last year because of the quilt so this week and forced myself to stitch it up. Maybe I can get the people in this band done this week and move on! I did take some time and finish some Mill Hill Bead kits. Will post a picture tomorrow. I was able to start on the shading on the right hand sleeve. Makes a huge difference in the piece, don't you think. 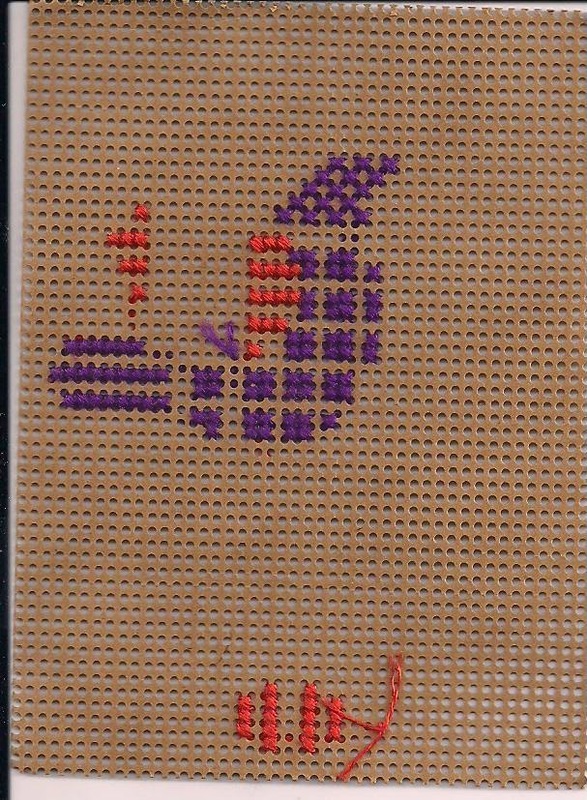 I have also finished stitching a pilot class for ANG which I cannot show you, yet! I need to finish it myself as part of the course so I may try to finish a few things while I am at it. I also got some new stash in the mail that I want to show you. I stitched on this an hour or so this past week and got a bit done. A little is better than none. I was able to move to the other sleeve. I am nervous about the next step which is adding the shading to the sleeves. Hopefully I will be brave and move forward this week and get the sleeves shaded, or at least start on them. If not, I will do a lot of background as there is still a lot left. I should be researching tax programs for my dh, but I thought I would take a second and post this. My local EGA, Mississippi River Valley Chapter, is having a year long challenge. We choose a piece and put $10 to hold our place, I guess you would say. We have a year to finish, so February 2016, and will get our money back if we get done. If not, we donate $10 to the guild. My goal is to work on it a little each day, maybe 12 stitches or so and see if that helps me move this piece forward. It needs to get done! It has been lurking in the basement since 2010! Not too much progress. Company, cleaning and general business has kept me busy. Hopefully this week will see some blackwork on the other sleeve! 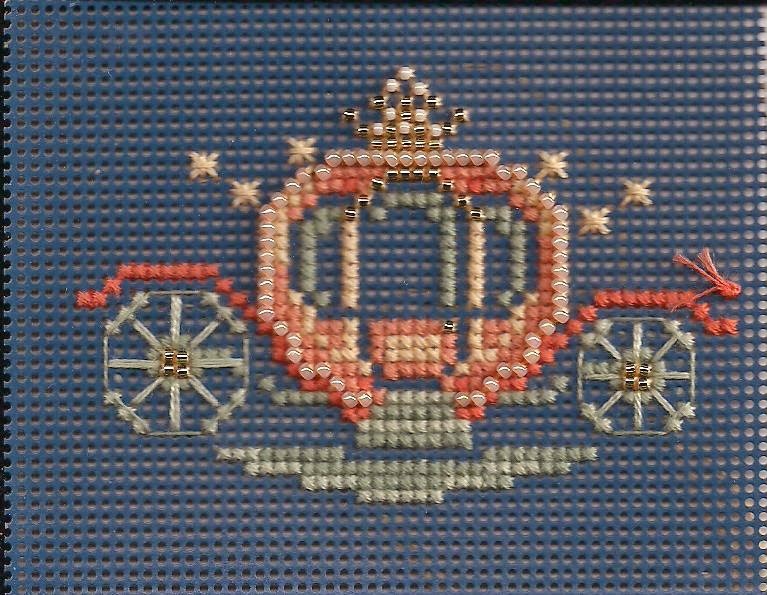 As you can see, I have started beading the Princess Carriage. 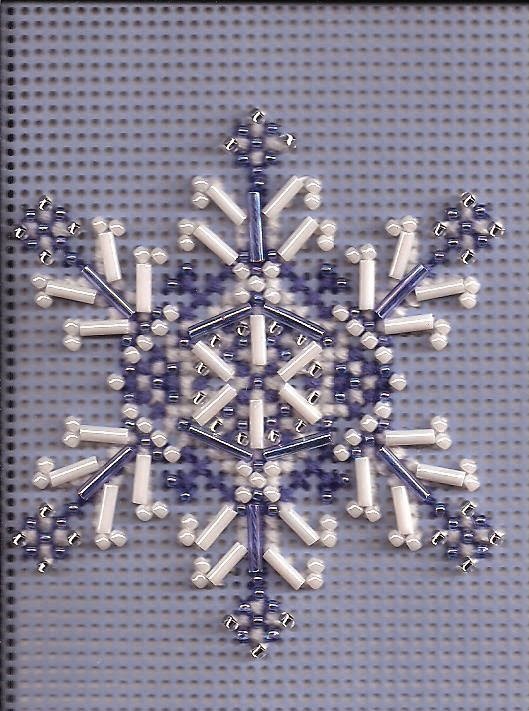 I love how the beads add so much to these little projects. I needed a new project to carry along and surprise, surprise! 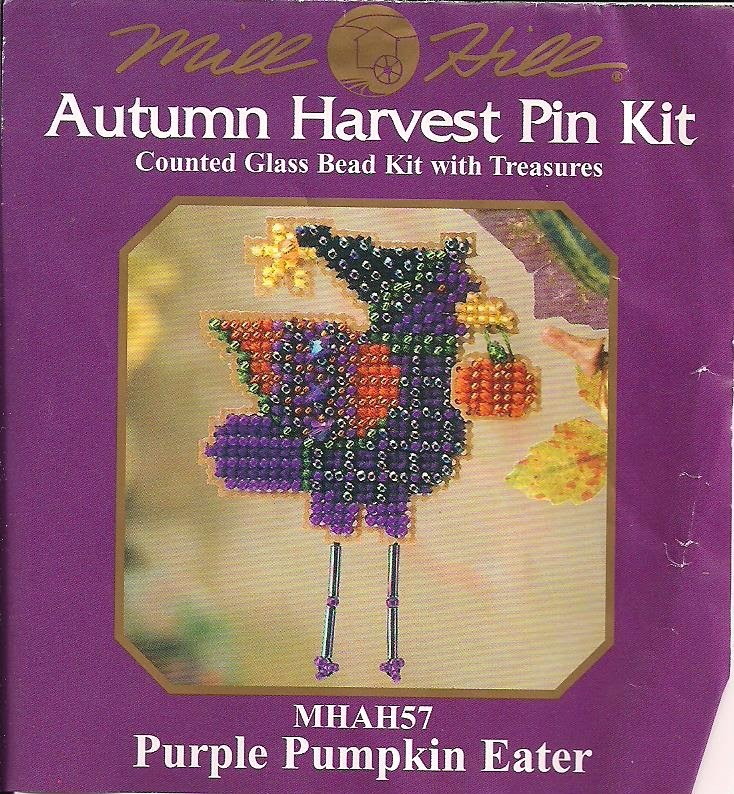 I found a Mill Hill Bead kit that I wanted to do. I just love this little crow. It is finally blackwork time on the sleeves. I am busy trying to get my house ready for company this weekend, but I did manage to get a few minutes each day on Elizabeth. If I wasn't such a messy, cleaning wouldn't be such a chore! Last Saturday I went with my family to watch my ds compete in a robotics competition. I was able to talk my dh to take me to Designers Desk in Geneva,IL Designers Desk They are having a big sale over the next week. I could not resist adding to my Mill Hill bead stash. I love that store. It is a good thing that it is just far enough away that I cannot go too often. It is a great store with lots of canvases, cross stitch and threads. Threads!! !Don't let me get started! If you are in the area, it is worth a stop. Just call then first as they do close if the weather is bad. I did this while watching the Super Bowl. I was afraid if I worked on Elizabeth or the Doodle Sampler, my tension would change depending on what was happening on the screen. Anyway, we got 12+ inches of snow yesterday and I felt like getting this done. Now it goes in my basement to await a finishing session.